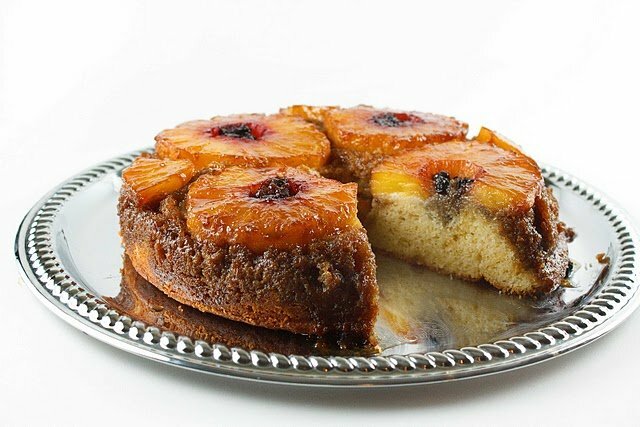 If you’ve never had a Pineapple Upside Down Cake, you don’t know what you’re missing. And when its good its OMG good! This is my wife’s favorite cake so you know I make it on a regular basis. It’s really easy to make and using fresh pineapples really kicks it up a notch. Of course, you can use canned pineapples if fresh is not available. In a saucepan melt 1 cup butter and add in the brown sugar and blend well to incorporate all the melted butter. Divide the mixture between two 9' round cake pans, arrange fresh pineapple slices in the pan, you should be able to place 4 slices in the pan, then use sections to fill in the rest of the pan. I used blueberries in the center of the pineapple, you could stay traditional and use maraschino cherries, or even use cranberries. In a stand mixer or a large bowl, cream the sugar with the rest of the butter until light and fluffy. Beat in the eggs one at a time and then the vanilla. Combine the flour, baking powder, baking soda, salt and cinnamon in another bowl and blend together well. Bake at 350 degrees for 40-50 minutes or until a toothpick inserted near the center comes out clean. Immediately invert onto a serving platter, then allow to cool briefly. Place a cookie sheet under the cakes, the topping may bubble out over the pan causing a mess in your oven. Hi! I simply want to offer you a big thumbs up for your great recipe! I def agree with using fresh! It's always better that way. 🙂 These pictures are making my stomach talk! Sorry I'm late here – just catching up. 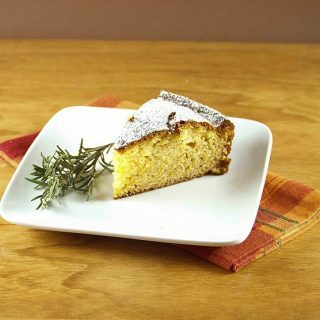 My grandmother used to make upside down cake ALL the time and it was so good but I never found her recipe. Yours looks wonderful and I am printing it out to try. Thanks for the lovely memories! My grandmother always made pineapple upside down cake, so I'm a huge fan. Love all your advice as usual. Only thing I noticed about Top 9 is if your photo is on FG or TS, it's on the Top 9. Have a great week! I have to admit that I'm not the biggesst pineapple upside down cake in the world, but you're tempting me! The Greek yogurt and blueberries are nice additions and I'm sure that fresh pineapple makes a world of difference. I could be convinced! You offer such great advice. Thanks much! 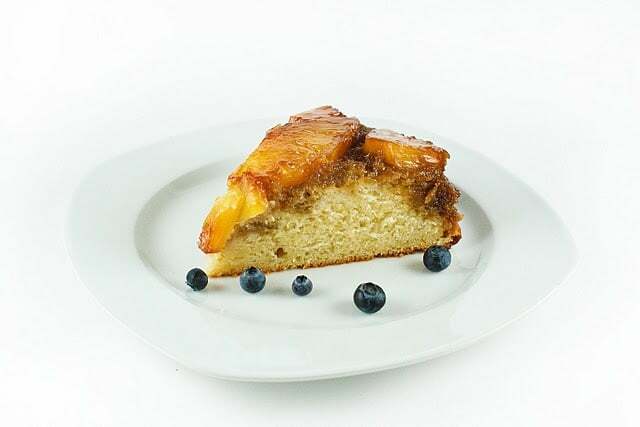 I love pineapple upside down cake Dennis, I don't know why I don't make it more often… great recipe and the photos are mouthwatering… hope you had a great New Years!!! 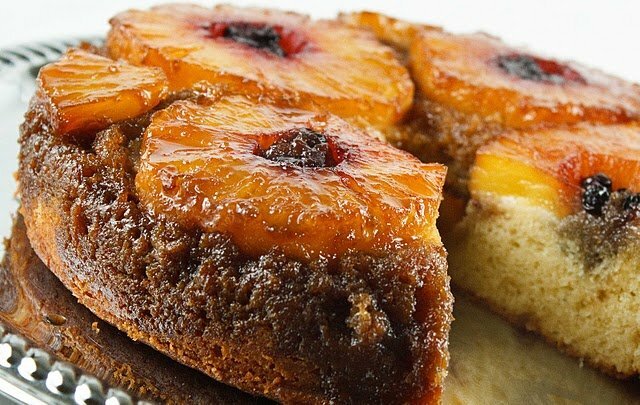 I love pineapple upside down cake, and this one is a beauty! Sounds great with the Greek yogurt. Just the perfect cake!!!! I've been sick all week and just now getting to reading all this amazing blog posts. 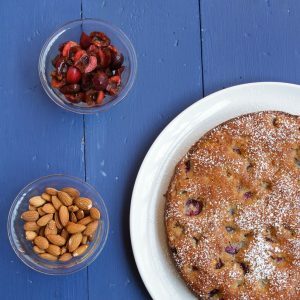 I just mentioned how I was sick of winter and this cake is the perfect recipe to make when you're feeling the blues through winter and you want to transport yourself to some place warm. Thank you Dennis!!! Can always count on you for a pick me up. 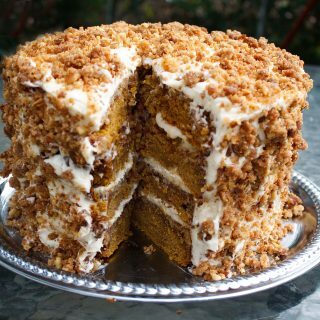 this is my grandpa's favorite cake, and i'll admit that i love it too. the greek yogurt is a great addition! Thanks for the idea on Giveaways, I never thought to contact a company directly! Oohhh, Dennis! You have my all time favorite cake here. I used to ask my mom to make these for my birthday (occasionally we would switch with Apple Pie). With mu love of anything tropical, it's only natural I'd love this one. I haven't made one in years though, just kind of forgot about it. This is going to the top of my list! And as for Danno… well.. I admit to a bit of a crush on him! Well, it was a bigger crush until I found out he was only 5'5… that's the same as me, so too short in my book for me. Loving that show though! We don't miss an episode. I never thought to ask to host a giveaway, you are right, what it there to lose? I might give that a try! Thanks for answering my question about uploading photos to accompany posts on FB. Since my blog is on automatic feed, I have to go in after it's posted in activity and then upload photo via edit. Perhaps I'll look into manual upload. P.S. 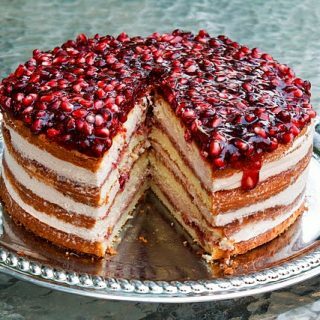 Cake looks wonderful. So moist. This looks so gourmet – your photos really take it to the next level! Your pictures are looking better by the post! As for photographs – oh you got me with that last statement. 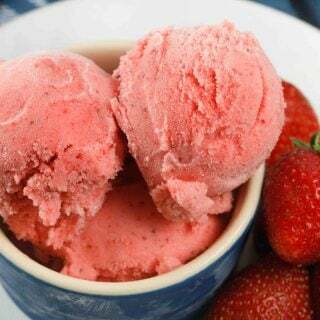 I hate when I see a photograph on sites like tastespotting and foodgawker that are not by the persons who is posting, but copied/linked from a professional site. Totally deflates my efforts to take decent pics. I've been making pineapple upside down cake for ages. It is actually my son's birthday cake of choice, and I have a tried and true recipe (he's 23 now- a lot of cakes are behind us) But the Greek yogurt twist is intriguing. When life hands you beautiful pineapples – make pineapple cake! Even if you're cookied out. This looks so delicious to me. And I am totally cookied out. Oh my goodness that looks really fantastic Dennis! I feel like I just have to make this now. It would be a great cake to have at a summer get together, or any get together really. I love that you used greek yogurt in this recipe. It is my favorite ingredient to play with right now. 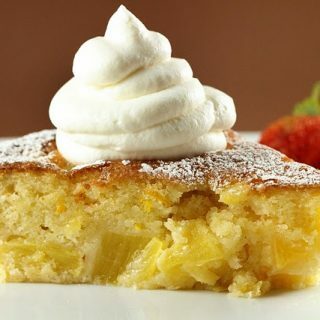 Hi Dennis-Your fresh pineapple-upside down cake is so pretty, and looks so moist. Love the addition of the Greek yogurt, which adds to the moistness. Great advices-Very professionally handled…congratulations for further success!